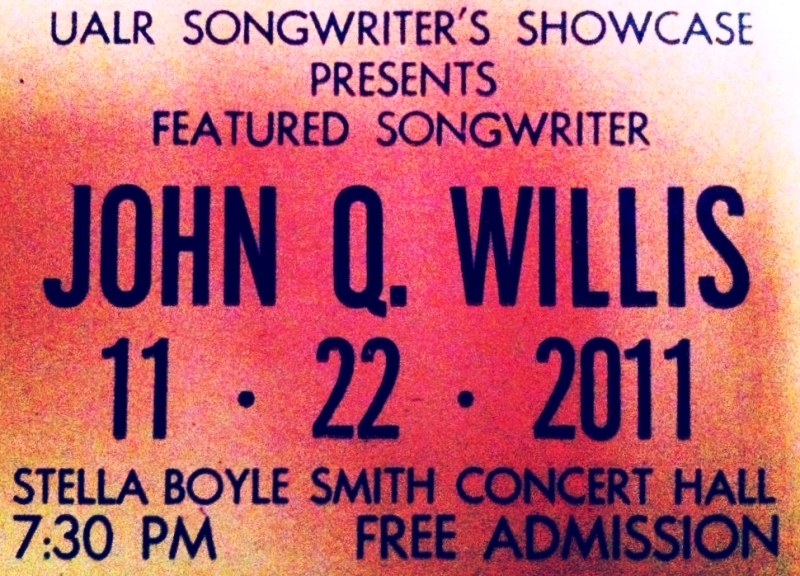 John Q. Willis, who has been entertaining audiences at various venues throughout Central Arkansas for the past several years, is the featured songwriter at the UALR Music Department’s Songwriter Showcase. As a performer and writer, Willis is firmly planted in the tradition of the great singer-songwriters from the era of standards, pop music, jazz, folk, and gospel. He draws on many musical genres for inspiration, but also presents his own personal stamp. Willis will perform songs from his upcoming release, The Other World, as well as selections from a larger work called Salvation Songs. The first part of the programme will feature works by students of the UALR songwriting program. The concert will be tonight, Tuesday November 22 at 7:30pm at Stella Boyle Smith recital hall and is presented by the office of Campus Life and the UALR Department of Music. Admission is free. 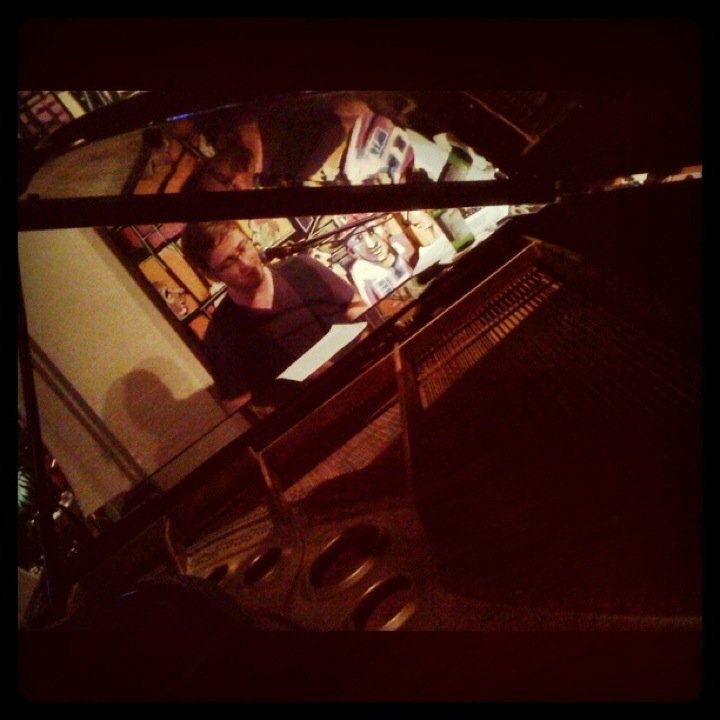 This entry was posted in Music and tagged John Willis, UA Little Rock Music by Scott. Bookmark the permalink.